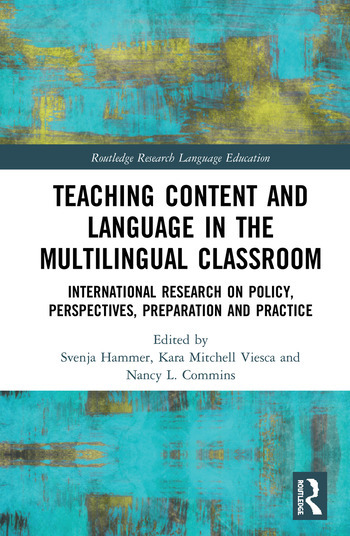 This book brings together research from six different countries across three continents where teacher educators and policy makers are addressing the under-preparation of content teachers to work effectively with multilingual learners. By highlighting this relatively young field of research at an international level, the book advances the research-based knowledge of the field and promotes international research relationships and partnerships to better support the education of multilingual learners and their teachers. The chapters represent high quality empirical qualitative, quantitative and mixed methods studies about pre-service and in-service teachers. Comprising four sections, each represents a critical aspect of the equitable teaching of multilingual learners. All the research was conducted in countries that belong to OECD (Organisation for Economic Co-operation and Development) and the PISA (Programme for International Student Assessment) enabling the reader to compare contexts and outcomes. This book will be of particular interest to academics, researchers and post-graduate students in the fields of language education, teacher education, and education for multilingual learners. It will be of great value to anyone concerned with equity and social justice for multilingual learners whose languages, cultural practices and resources are often overlooked and/or marginalized in the schools they attend. Svenja Hammer is a postdoctoral researcher at the Leuphana University of Lüneburg, Germany. Her research focuses on the inter-(national) comparison of pre-service teachers’ competencies and beliefs regarding multilingual learners. Kara Mitchell Viesca is an Associate Professor of Teaching, Learning and Teacher Education at the University of Nebraska-Lincoln, USA. Her research focuses on advancing equity in the policy and practice of educator development, particularly for teachers of multilingual students. Nancy L. Commins is a Clinical Professor Emeritus from the University of Colorado, Denver, USA. Over the past four decades, she has worked as a bilingual classroom teacher, program director, school district administrator, university professor and independent consultant assisting teachers, schools, districts and states to improve instruction for multilingual learners over the past four decades.